My Granddad was one of my all time favourite people. My mum tells stories of how, as a little girl, if I hurt myself when my granddad was there I wouldn't want my parents, only him. He died 6 years ago last month and I miss him every day still but days like today I think of him all the more. I used to love sitting with him and listening to the stories he told me right from being little, through to him laying in the bed on the Macmillan ward towards the end. He served in the KOYLI during WWII. He enlisted at 17, lying about his age like so many people did then. During the war, he served for a long time in Egypt. The stories and photos depicted the men in the dessert, in tents and the dust, smiling. That was where he learnt to drive. He never took his test. Just drove jeeps round Africa then carried on driving when he came back. He'd tell me about their regiment cook who refused to cook one of their chickens and kept is as a pet. He told me about bumping into one of his brothers he'd not seen in 3 years in a port in South Africa. He told us about finding a cellar full of booze in Germany after years of war. He told me about the camaraderie. He never told us the bad things. Well, once he told me he had to jump in an open grave to avoid gun fire, but that was as bad as it got. I wish I'd pushed him more for the details. Just so now I could fill in the blanks a bit. But he never spoke about the bad. He wanted to forget it all. So much so he didn't even claim his medals. After he died I realised just how little he'd told us. A friend of his from the war came to his funeral and told us stories and gave us photographs. It made me want to know more. 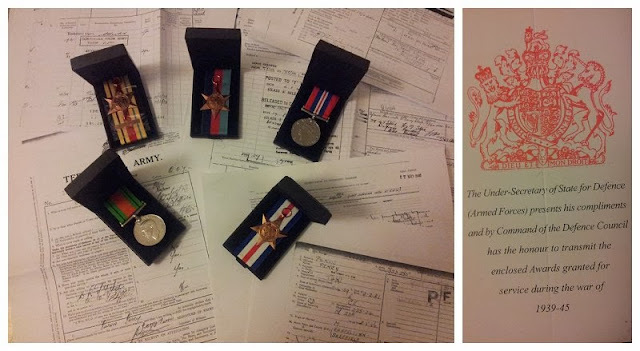 So, with a little deception we got my nan to sign the paperwork to release his army papers and to apply for his medals as a surprise for her and my mum. They arrived a few months later, with his medals, and made interesting reading. 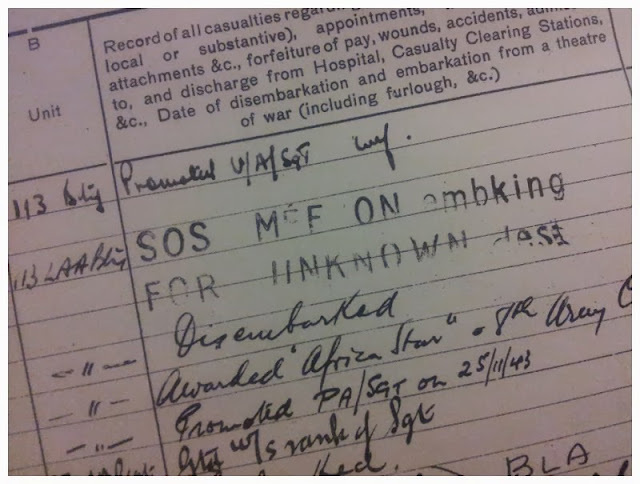 We read where he’s been stationed, we learned what he was temporarily demoted for a fight, we learned what his seniors thought of him and we learned he was sent in 1943, SOS, to Germany (an unknown destination on the forms) on business that he never spoke about to me or my mum. I wish I knew more about it. I wish I’d asked more. I wish that he’d wanted to share more. Maybe now, with his records, I can find out a little more. 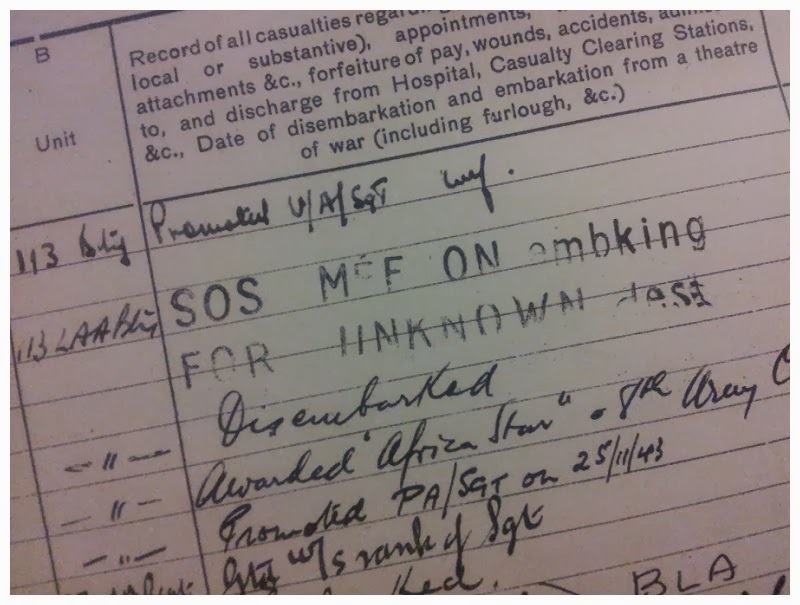 If anyone has done any digging from army records, please can they shed some light on how to go about it. Thank you. 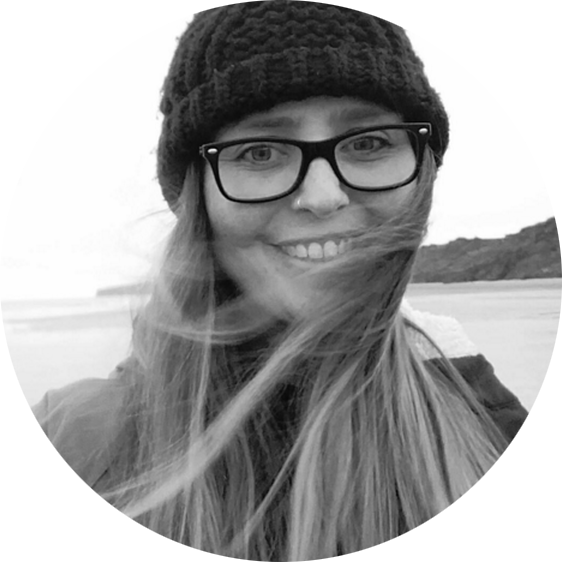 I applied for my father's war records and it helped to 'flesh out' his army days which, like your Granddad, he never spoke about. These days of remembrance are tough, aren't they? Miss my Dad every day but some days are tougher than others. I found it so emotional to read them and see the medals. I bet with your dad it was even more so. I never got to hear any of either of my granddads tales about the war as they both died within a year of me being born. But one of my granddads was also in Egypt driving tanks - the other in the Royal Signals. Good luck in your search for hiding out more information, I know from traditional genealogy searches records aren't the easiest to get your hands on. Ooooh, maybe they were stationed together? And yes, it's tough to dig for info. I never got to hear any of my Grandads war tales, he died when my Dad was a teenager all I know is that he ended up in a concentration camp... I like that your Grandad told you the good things and not the bad, it made me smile reading this. Oh, crikey, a concentration camp. And yes, it was lovely that he didn't want us to know the bad, but it means we didn't hear about whole swathes of his time in the war.